Whether you are someone who works in customer service every day and you wouldn’t change it for anything or you are someone who left customer service far behind them and never want to look back, you cannot deny that the customer service industry is one that has a lot to teach you. No matter how you feel about customer service, it is essentially a vital part of any business (online or the real world) and more so, a vital task that needs to be tendered wisely and carefully. Considered by many as a menial task but truly worth spending some money made off from a business’ revenue. 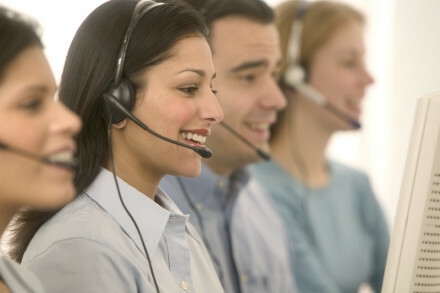 Below are the ins and outs of what customer service is really all about. If you are in customer service, your job is all about pleasing your clients and attempting to meet their needs. You cannot know what their needs are unless you are able to listen to them. If you interrupt people because you assume you know what they want, you are going to find yourself in a lot of trouble. Listen to the other person’s statement of the problem before you attempt to fix it. Because people sometimes take a very roundabout way of handling thing, you might be dealing with a different problem all together, and it is the same when you listen to your friends and family talk about their issues. One thing that you always want to remember is that you should never pass on bad information. If a customer catches you handing out bad information, you will find they will think that you are lying, which in turn ruins your credibility. Tools like mshare.net and feedback channels make a huge difference when you are trying to tell your customers the right thing, so make sure that you always tell the people around you the right thing as well! Whether you love it or hate it, customer service jobs never seem to pay that much. Truer words have never been spoken. Customer service is quite a stressful job to be in. Imagine handling customers day in and day out, and while the pay is low (it usually is) the stress level is definitely more than you would like to bear. But being in customer service, you should always be willing to go above and beyond when you are looking at customer service, you should also remember how much you are getting paid and what your job description is. Part of doing well in customer service and making sure that you are getting paid what you are worth is to know what you should not be asked to do. Part of being a great customer representative is keeping things personal. No one likes to feel like a chore, and that goes for your friends and family as well as your customers. Show a personal interest in what is going on, and make sure that you make them feel as if they are welcome. This ensures smooth interactions between the people who are a part of your life.